Durable factory flooring gives you a smooth surface free from trip hazards for employees on foot, and clear of all obstacles for fork lift trucks and other essential vehicles. Poured resin can be used inside and out – allowing you to give your factory a consistent surface from the interior out into any adjacent yards and delivery areas, so that new stock can be wheeled to and from its transportation without any problems. Resin is tough and hard wearing, so that you can have complete confidence in the surface put in place by Thelwell Flooring, and we can include aggregates in the epoxy mix if you need extra grip under foot or for vehicle tyres on ramps and slopes. Seamless and hard wearing surface for all purposes and heavy industry. Suitable for foot traffic and vehicles – and can be textured for even more grip. Can be used indoors, outdoors and across the boundary between the two. Line markings and painting can designate certain zones for specific uses. 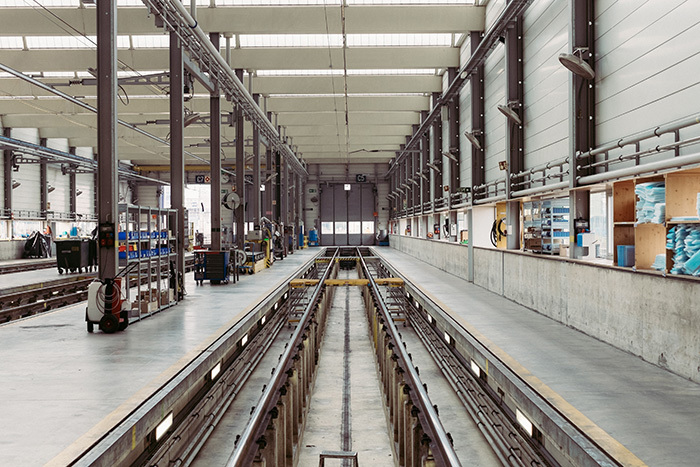 Thelwell Flooring can offer the full service to replace your existing factory industrial flooring or lay a new factory surface from scratch, including all of the manpower, expertise and equipment that is needed for the job. We will assess the current floor surface – whether it is an existing finished floor, or a bare concrete sub-layer – and recommend appropriate preparation to get it ready for a poured resin layer. This makes certain that the resin will bond to the surface and extends the usable life span of your floor, which is essential in heavy traffic areas. We work quickly and cleanly to pour the resin layer so that it can set solid ready for use, and can offer demarcation, line marking and floor painting either as part of the resin layer, or added afterwards to provide durable zone markings.